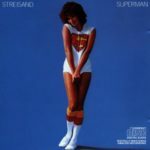 Superman is an album released in 1977 by American singer Barbra Streisand. The single “My Heart Belongs to Me” became a hit in 1977, peaking at #4 on the US pop chart. The album peaked at number 3 on the Top 200 LP Billboard album chart and on the UK Albums Chart at number 32. It has sold 2 million copies in United States and was certified 2× Platinum.